New Ceiling Fans from Fanco have arrived! This morning, a container arrived at the Universal Fans warehouse with two brand new ceiling fans from Fanco! The wait is over for The Eco Breeze and the Wynd, two highly anticipated products. We’re happy to have them in our ware house and we can’t wait to start sending them out to you. 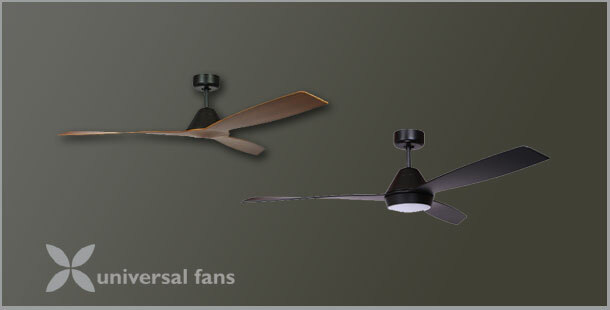 So if you’ve pre-ordered either of these ceiling fans, we will be in touch with you soon! The Eco Breeze’s neat design incorporates three blades and a dome shaped motor. It measures 52 inches, so it’s well suited for medium size rooms. 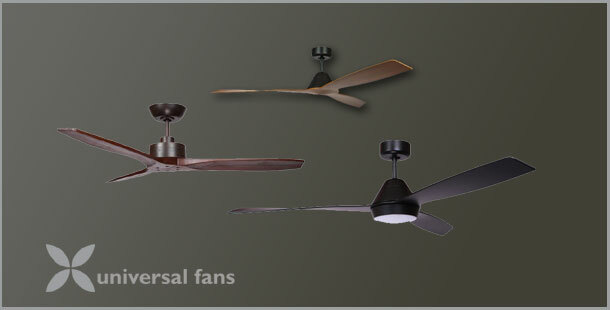 The Eco Breeze is available in three colours: white, black or a combination of a black motor with koa blades. You can also choose between a model with a light or without one. 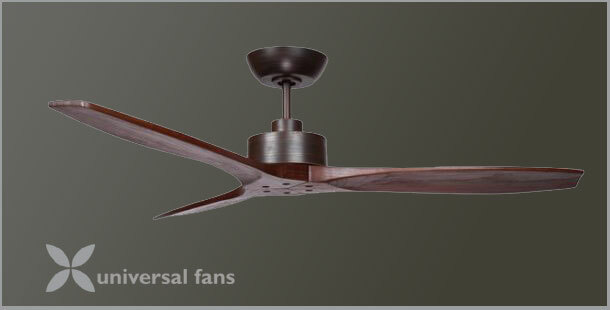 The Wynd makes another wonderful addition to our ceiling fan range. Its handcrafted blades span 54 inches and create a strong air flow. In spite of its capability, the Wynd is runs on very little energy. Thanks to its DC motor, the Wynd uses 2 Watts on its lowest setting. The Wynd’s users have a choice of 6 speeds and access to reverse function for Winter use. Which Direction Should A Ceiling Fan Spin in Summer?